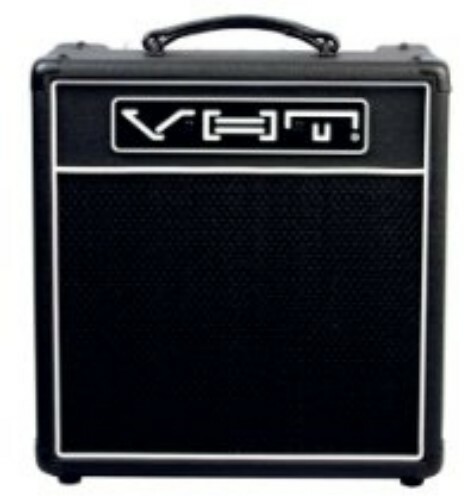 The VHT Special 6 1 x 10 combo fitted with our Harma ECC83 STR & TAD 6V6GT STR with the Weber 10F150-LD speaker is designed to give you the best balance of clean vintage American sounds, warm overdrive with tight punchy lows. This set up gives improvements in the crunch tone with more clarity in the overdriven mode. TAD 6V6GT-STR, when used clean produced a clear top end with a warm fat midrange and a tight bass response. Hit the overdrive and gain settings and plug in the Les Paul and you find Rock heaven. This valve has a really touch sensitive response and it captures the classic rock sound in a nutshell. This is a very easy valve to overdrive so a little care will be needed with your settings if you wanted a clean boarding crunch sound. The Weber 10 inch Ceramic 10F150-LD is from the Weber Vintage series and gives the throaty/reedy Classic American sound of late 50s early 60s. This speaker provides the Classic American loud big bottom with tight bass, punchy hard mids with clear, smooth aggressive highs. It has tighter punchier bottom end and more top end dynamics and less speaker fizz when compared to the stock speaker. This upgrade kit is the valves and speaker only.